Admittedly it’s been a while since I’ve used VirtualBox to host a database. I’ve been using a bunch of different cloud services. I like to program on my main machine(host) and connect to the VM as if it were just a database server. I expected to have quite a few issues given how long it’s been since I did it this way. But really the only issue I had was making the connection from the Host to the VM. 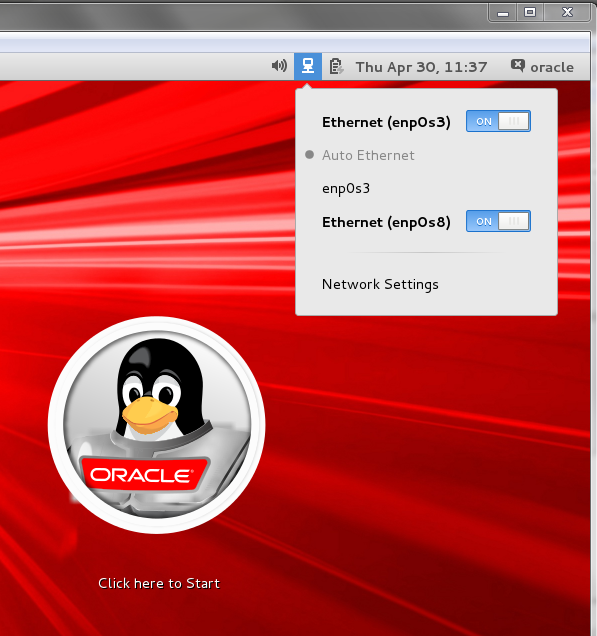 This is how I configured my VM using VirtualBox 4.3.26 for Windows hosts. If any of the steps need a better explanation, leave me a comment and I’ll clarify. 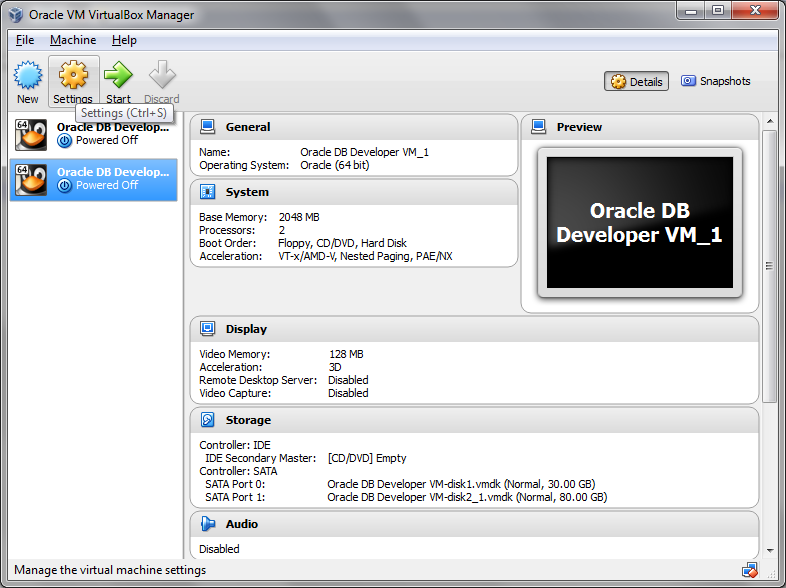 Download the Database App Development VM from Oracle’s Pre-Built Developer VMs. Others should also work if you have a favorite. Turn on the new adapter. Both adapters should be on. Note the name of the new adapter you just turned on. 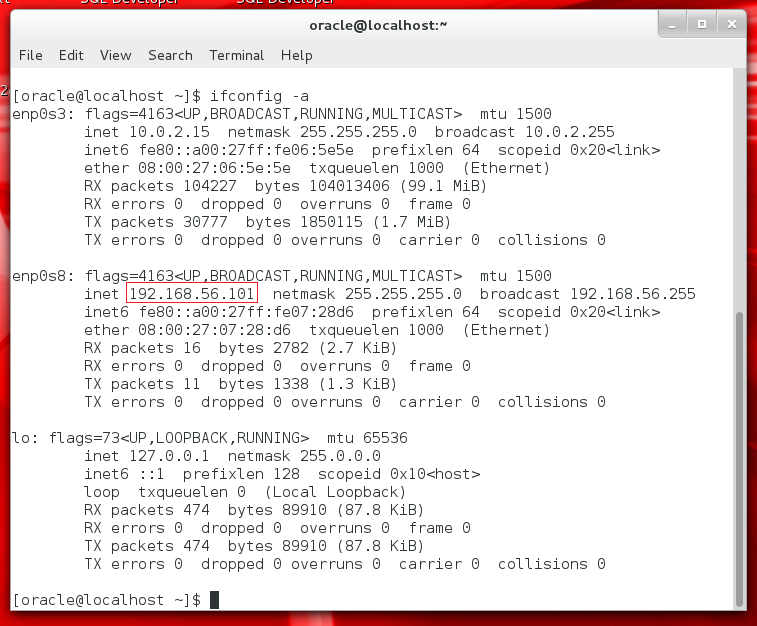 Type ifconfig -a to get the ip address. The adapter you just enabled (name from last step) will have the address you need, in my case it’s 192.168.52.101. Test the connection on your host machine. Create a new connection using the above values and push the test button. If all goes well you should have a good connection. Can we use Virtual Machine instead of virtual box where database is created and can we connect to the local mechine from SQL developer as mentioned in the course? 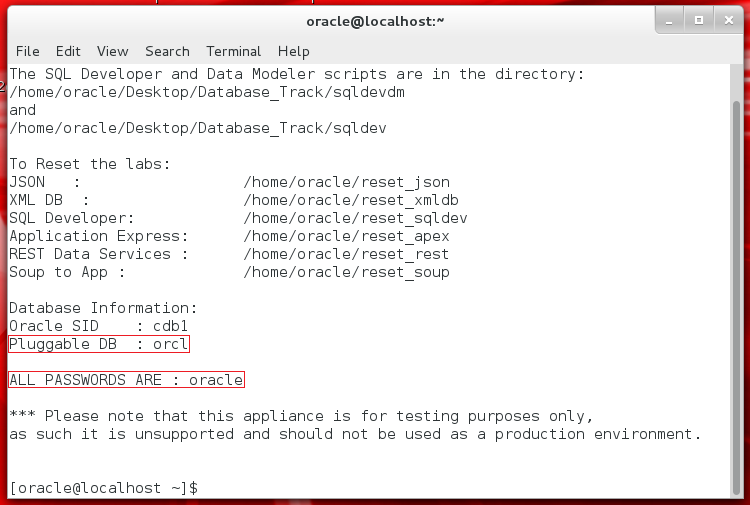 Also, there have been a few new versions of Oracle VirtualBox released since I wrote this. If you try this with the latest version, please let me know if this post is still accurate. 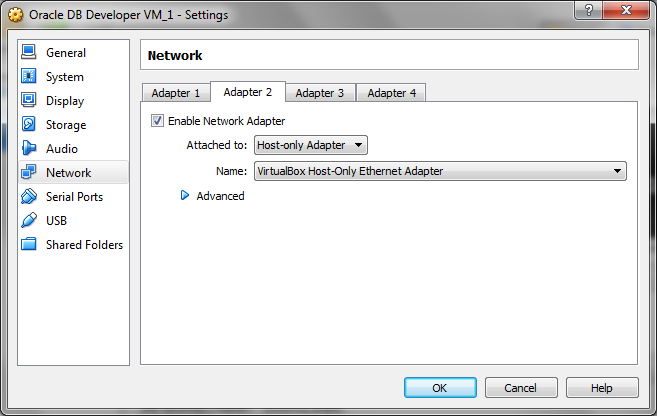 When I select Attached to as Host-only Adapter , I don’t have any options to chose an adapter from the list. Can you help me out here? This post has helped me a lot. I’ve tied this with the latest version of Oracle VirtualBox (5.2.12/May 2018) and it works. Thank you very much! I can not connect to both network adapters. One is connected but the other one has the inscription “Connecting”. Very helpful… saved me a lot of time! Have you checked that the port mapping is correct and that there’s not a local firewall issue? The specific VM I used in the examples was pluggable, but that’s not required. Usually when I get that error, I check the port mapping and local firewall to make sure I can get to the VM. A lot has changed since this post was published. I have not needed to configure Host access in a while.